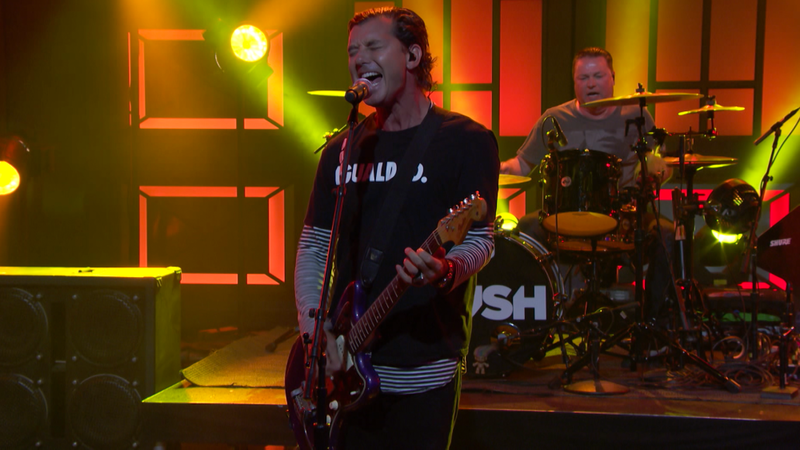 Bush performed their 1994 classic, “Comedown”, on TBS’ late night program Conan on May 10 and the show is streaming video of the appearance. The third single from the UK group’s debut, “Sixteen Stone”, “Comedown” reached No. 30 on the US Billboard Hot 100 while the project hit No. 4 on the Billboard 200 on its way to sales of 6 million copies in the country.